Traditional sports facilities where people spend time getting active are an important part of this, but it can be much wider too. It doesn’t have to be a traditional space – or a traditional sport. The Community Asset Fund is a programme dedicated to enhancing the spaces in your local community that give people the opportunity to be active. 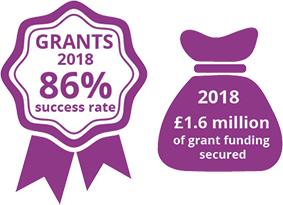 There are a number of things we want to achieve with this investment, but most importantly they want to help local organisations to create good customer experiences and financially sustainable facilities that benefit their community for years to come – which may mean providing help to get things up and running too. While they will continue to invest in projects that help people get into sport and increase the number who are regularly taking part, they’re also looking to invest in projects that look beyond this to how sport and physical activity can – and does – change lives and becomes a force for social good. If you think the Community Asset Fund might be for you, have a look at the Guide and Developing your Project documents on the link below.